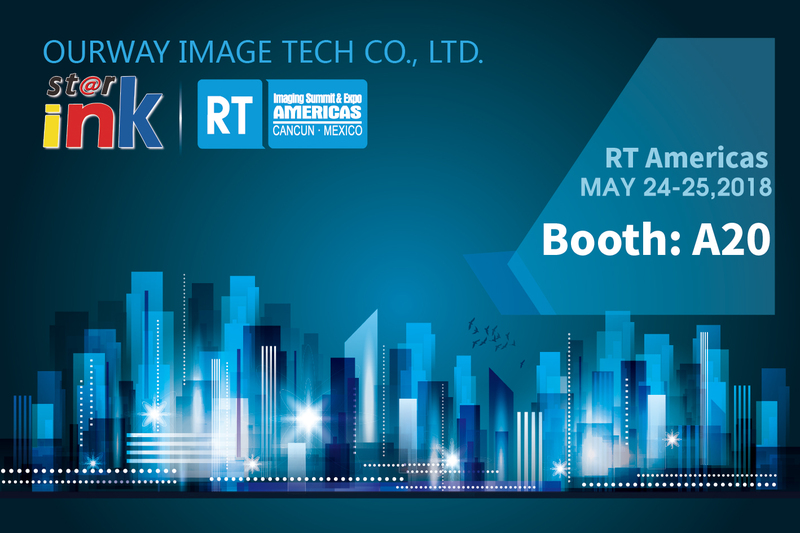 Ourway Image Tech Co., Ltd. would be very pleased to inform you that we will be exhibiting at upcoming the RT Imaging Summit & Expo Americas 2018 which is held from May 24-25, 2018 at Cancun in Mexico. Our booth is located at A20. It is our great honor to invite you to visit us during the period of exposition.Our sales team will show you our latest and hot Toner Cartridge, Ink Cartridge and Ink at the booth site. As a professional manufacturer of printer consumables, we are dedicated to supplying high quality and eco-friendly printing consumables and solutions to customers worldwide. All our products are strictly produced in accordance with the ISO9001 and ISO14001.We wish to create mutual beneficial relationship with our global partners. We are looking forward to meeting you in Cancun, Mexico. Ourway Image Tech Co., Ltd.
You are receiving this email from ourway because you purchased our products or send inquries from website or expo site. To ensure that you continue receiving emails from us. Please add promo@ourwayink.com in your address book. If you are no longer interested in receiving our emails, please reply us unsubscribe.All brand names and trade marks are the properties of their own respective holders. They are referred to here for descriptive purpose only.